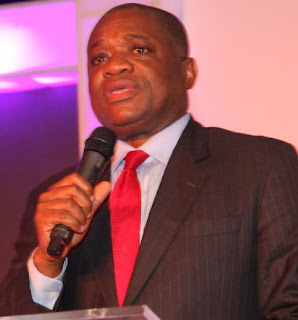 Ex-Abia Governor Dr Orji Kalu yesterday said the Igbo people won’t support any move to disintegrate Nigeria. “I see a more united country rising from the ashes of hate and fear. Those who fear that the Igbo do not have leaders should first try to find out how Igbo people manage their affairs. “The Igbo cannot do it alone. I agree that development of Igbo land is a task that must be done; but it cannot be done in isolation”. “We can however not do that if we remain antagonistic to one another. We cannot achieve it if we scare everyone with hate. We cannot achieve it if we think it is Igbo and Igbo alone. “No, we must build necessary network. We must build alliances across the political divide. If we don’t build such alliances, we may not be able to market our demand” . THAT IS typical of a politician. Test your popularity by visiting Abia State and holding a rally at the same time that Nnamdi Kanu holds his, and you would be shocked to see only your family members and your security details around you. I don’t know why politicians avoid the truth the way oil refuses to mix with water. What do we expect from a staunch supporter and backer of APC led-government? Do we expect Orji Uzo kalu to disassociate himself from the ruling party that shielded him and giving him immunity from facing charges of corruption and embezzlement of public fund? He can give his awful talk the way he likes because they knew that division of the country will automatically ground their political dream and opportunities. This is why they are always very swift to denounce and deprecate the peaceful agitation of Biafran movement and their demand to secede from Nigeria. But thanks to God that like Rochas Okorocha, Orji Uzo Kalu also knew the indisputable fact that southeast region is very much underdevelop or marginalized as compare to the rest of the country, this is why he said he “agree that development of Igbo land is a task that must be done”. But so many years of total neglect by the Nigerian federal government has led to the insurrection of Biafran agitation which millions in the southeast and other region of the country are directly pledging their allegiance and paying full support to it movement. So to say Igbos won’t support Biafra is a lie not only meant to deceive the public but meant to appease the current administration of their commitment to disband Biafran movement through their empty propaganda campaign. This is one of the political contractors assigned (not elected) previously as governor to help destroy part of Igbo land, and he did anyway, now,he is afraid,because soon,i mean very soon..he will be chase to abyss. Most of you who claim to be Igbo leaders,politically and traditionally should be ashamed of yourselves, because no other tribe in Nigeria will ever trust you guys,you betrayed your family for money and power,so as you dream of becoming Nigeria president,start making peace with your God.